Design albums and directories digitally. 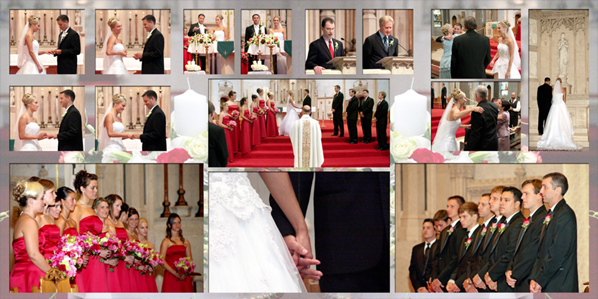 Wedding Albums are no longer constrained to mounting an 8x10, or two 5x7s, or four 4x5s to a single page. Digitally, your album can be designed as “spreads” — open an art book to display two full pages, and that’s what is available to you: a full two-page spread with almost unlimited potential. I’ve been designing these for many years. And I don't use templates. Yes, templates can make the work easier, quicker and cheaper. It’s also less personal, less creative, and does not respect the integrity of the couple or the images. If you’re a photographer who wants to offer such design work to your clients, I might be your solution. If you’re a wedding couple who wants their disk of images turned into an album to be treasured, please contact me. You can see some complete Wedding Albums here. Album samples copyright © Moments and Memories LLC. Used with permission. 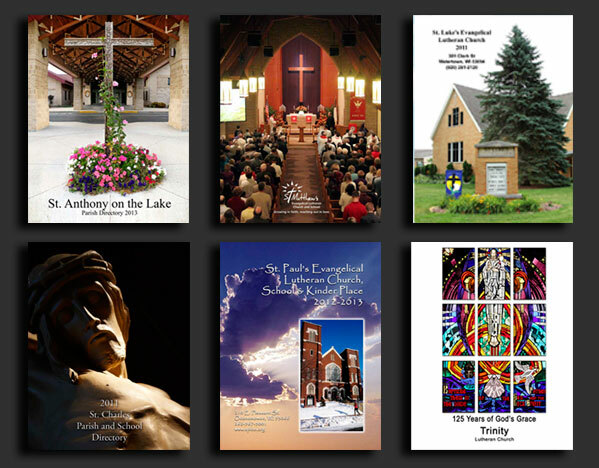 Pictorial Directories -- church, temple, company. Taking a cue from a currently popular television program: you're a studio who would like to get into pictorial directories. You have an idea of how to do them, but lack the staff for design and actual production. Contact me. You can see some complete directories here. Directory samples copyright © Moments and Memories LLC. Used with permission.